Training For Your Workforce Management Software When and Where You Need It. Implementing any new software solution has its challenges – usually the largest being getting employees trained and using the software so that you have their buy-in and make the most of your investment. Unfortunately many employees forget what they learn in initial trainings and/or functionalities they do not utilize frequently, so they often need refresher training. New hires will also require in-depth training in order to properly utilize the software, which can often drain productivity of existing key personnel. 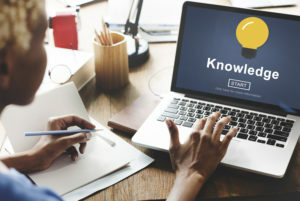 When you incorporate KnowledgePass as part of your Checkmate HCM total workforce management solution, you and your employees will have access to on-demand videos, manuals and guides and other training materials. Whether someone needs to learn about using services for processing a payroll, clocking in and out of time and attendance, or the complete HRIS Software suite, you’ll find a valuable resource of training materials right at your fingertip accessible right from your desktop. No need to organize schedules, pay a trainer or disrupt production, it is all right there when and where you or your employee need it.